ARISA WHITE is a Cave Canem fellow, Sarah Lawrence College alumna, an MFA graduate from the University of Massachusetts, Amherst, and author of the poetry chapbooks Disposition for Shininess, Post Pardon, Black Pearl, Perfect on Accident, and “Fish Walking” & Other Bedtime Stories for My Wife won the inaugural Per Diem Poetry Prize. Published by Virtual Artists Collective, her debut full-length collection, Hurrah’s Nest, was a finalist for the 2013 Wheatley Book Awards, 82nd California Book Awards, and nominated for a 44th NAACP Image Awards. Her second collection, A Penny Saved, inspired by the true-life story of Polly Mitchell, was published by Willow Books, an imprint of Aquarius Press in 2012. Her newest full-length collection, You’re the Most Beautiful Thing That Happened, was published by Augury Books and nominated for the 29th Lambda Literary Awards. Most recently, Arisa co-authored, with Laura Atkins, Biddy Mason Speaks Up, a middle-grade biography in verse on the midwife and philanthropist Bridget “Biddy” Mason, which is the second book in the Fighting for Justice series. 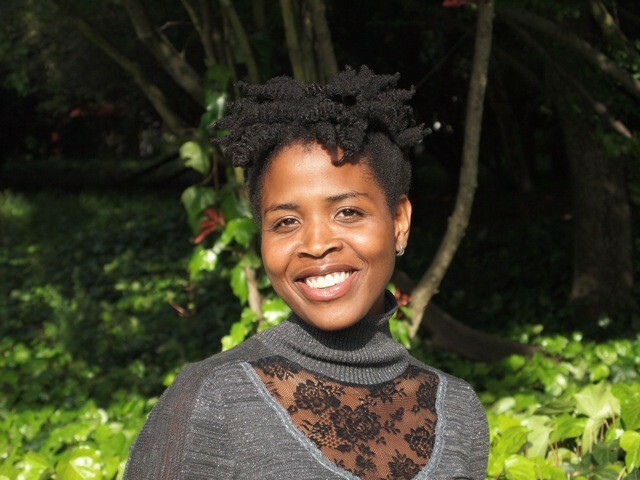 Arisa was awarded a 2013-14 Cultural Funding grant from the City of Oakland to create the libretto and score for Post Pardon: The Opera, and received, in that same year, an Investing in Artists grant from the Center for Cultural Innovation to fund the dear Gerald project, which takes a personal and collective look at absent fathers. As the creator of the Beautiful Things Project, Arisa curates cultural events and artistic collaborations that center narratives of queer and trans people of color. Selected by the San Francisco Bay Guardian for the 2010 Hot Pink List, Arisa was a 2011-13 member of the PlayGround writers’ pool. Recipient of the inaugural Rose O’Neill Literary House summer residency at Washington College in Maryland, she has also received residencies, fellowships, or scholarships from The Ground Floor at Berkeley Rep, Juniper Summer Writing Institute, Headlands Center for the Arts, Port Townsend Writers’ Conference, Squaw Valley Community of Writers, Hedgebrook, Atlantic Center for the Arts, Prague Summer Program, Fine Arts Work Center, and Bread Loaf Writers’ Conference. Nominated for Pushcart Prizes in 2005, 2014, 2016, and 2018, her poetry has been published widely and is featured on the recording WORD with the Jessica Jones Quartet. A native New Yorker, living in central Maine, Arisa serves on the board of directors for Foglifter and Nomadic Press and is an advisory board member for Gertrude. As a visiting scholar at San Francisco State University’s The Poetry Center in 2016, she developed a digital special collections on Black Women Poets in The Poetry Center Archives. In the fall of 2018, Arisa joined the English Department at Colby College as an assistant professor in creative writing. For booking inquiries, contact Allison Connor at Jack Jones Literary Arts. I write because I’m trying to love others and myself. It is a way of getting to. It’s an opportunity to try on humanity, from varying points of view. If I can write from the perspective of the murdered and murderer, I can discover in myself something I did not know. To get to a place where I am not ashamed of my secrets. It’s how I keep myself sane and honest. Growing up with six other siblings, a mother and her partners and their intimate violence, I needed a space to breathe, to remind myself that I had a voice that could be listened to, even if it was only by me. Writing allows me my own truth, to uncover the stories I had learned about myself. Writing is raising the silenced and inaudible voices to heard. I’ve chosen poetry to help me navigate the questions I ask about people and the things people do, and the systems that we create to keep people doing the same, often, unhealthy things they do. As an intuitive person, I can’t let things go: I like the challenge of finding the words to remake the moment again. The constant translation of events, situations, and emotions keep my brain turned-on. I like to be turned-on, awakened. Sometimes, I need a knife, a lover, a priest, a compass, and the poem offers direction, listens, loves, and stabs. It allows me to not be while still being. When you walk in the world as black, woman, queer, poor, and the such, you get read before you reveal who you are. And sometimes, there is no space to learn who you are without being constantly challenged by assumptions, stereotypes, and expectations to perform or produce in a certain way because of those social identities. So writing is restorative, recuperative, and permits me to ask myself vulnerable questions about my own who-ness and humanness. You may also be interested in reading “On Writing,” a short lyrical essay where I’m ruminating on the water style of poetry writing.